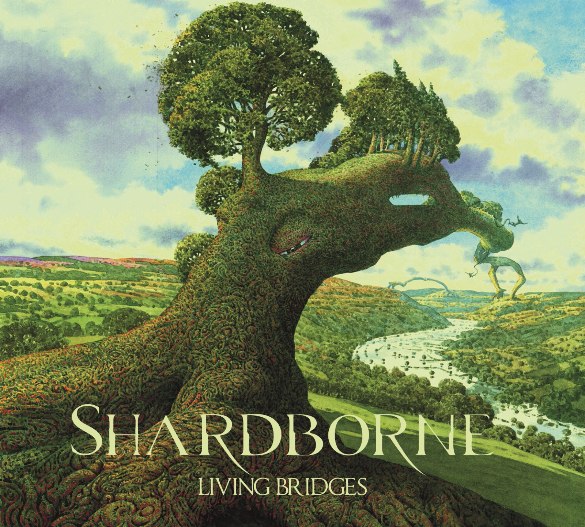 Shardborne’s Debut Album ‘Living Bridges’ Is Out Now! Living Bridges, the debut album from Ireland’s Shardborne is out now and available on heavyweight double LP, CD and digital format via Out On A Limb Records. Following the album’s pre-release stream over on Metal Underground last week the band has amassed a plethora of new fans the world over who have been hooked with the meandering journeys, transfixing hooks and complex changes on Living Bridges that take their progressive metal and instrumental style to a new level. Living Bridges was recorded by the band’s Ciaran Culhane and Ben Wanders before on to be mixed and mastered by long-time Between the Buried and Me producer Jamie King at his Basement Recording Studio in North Carolina. The album artwork was carried out by British Illustrator Duncan Storr (Skyclad). The artist recently featured on TeamRock.com regarding his recent collaboration with Scale the Summit, Shardborne’s artwork was also present in the piece. “Album of the Week” Dan Hegarty from RTÉ 2FM’s ‘The Alternative’ Show. If you haven’t already seen it, here’s the band’s official video for track ‘Room Within a Room’, which recently premiered with Prog Magazine UK.